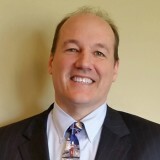 John H. Bradley is the Vice President of Sales for Alcott HR. He is responsible for overseeing all aspects of Sales and Sales Training for the organization, allowing Alcott HR to help more companies to become successful. John has 22 years of experience in the HR industry, and he leverages his expertise and experience to help clients understand the problems they face as employers in the areas of human resources, employee benefits, payroll and risk management. He helps business leaders understand how a PEO relationship with Alcott HR can: lower their employer liabilities, improve their labor law compliance, reduce their employee turnover, improve their ability to attract quality employees, improve their employee benefit offerings and reduce their administrative workloads, allowing them to focus on growing their companies. John is an active member of Rotary International, having served as a board member, Secretary and Vice President. He uses the Rotary Four-Way Test as guide for ensuring Alcott adheres to the most stringent ethical standards possible. Today, John serves as a District Vice President of the International Youth Exchange Program, which helps kids from around the world share their cultural experiences, embrace new ones and foster a greater global understanding.